This very simple but effective Killer leg workout done in 4 minutes will be guaranteed to get your heart rate going and your legs burning. Place hands behind your head, interlock your fingers and make sure to keep your shoulder blades squeezed at all times. Make sure to brace your abdominal muscles before beginning to lower yourself into your squat. 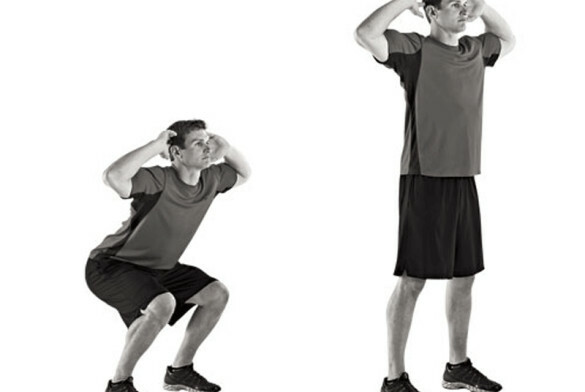 Perform as many squats as you in 20 seconds then on your 10 second rest hold yourself in the lowered squat position, that is right..DO NOT STAND UP! Continue this routine for a total of 8 rounds and for an extra challenge try and beat your previous rounds repetitions.